Just how amazing is Rodney – he is 9 years old and we guess he had been a working dog. He is super friendly and very cuddly and he will make a great companion dog. Rodney is nice to walk and at 9 years old he still enjoys going out on his wanders. 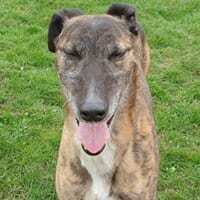 Rodney is good with other dogs and will just make a lovely family pet. Please make sure you are in a position to adopt a dog, before completing the online adoption form. We are unable to hold onto dogs for more than a few days, once you have passed your homecheck. 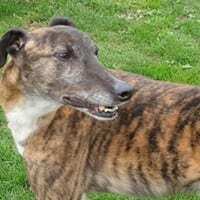 We do rehome throughout the UK, so long as you are prepared to travel to meet the dog within a few days of applying for him and then again to adopt him, once you have passed your homecheck.